Born May 1, 1999 at Frederick Memorial Hospital, Noah Grove first encountered a leg abnormality at 3 ½ years old. Following treatment, he then experienced pain in his left leg. An x-ray in 2004 showed “something,” deemed either an infection or tumor. After an initial diagnosis of osteosarcoma at Johns Hopkins, the Grove family sought treatment at Georgetown Lombardi Comprehensive Cancer Center, under the guidance of Dr. Jeffrey Toretsky and Dr. Aziza Shad. Noah received his first chemotherapy treatment in March 2004 and would endure painful chemotherapy for nine grueling months. Noah’s parents were advised to have his left leg removed for the best outcome and quality of life. Noah’s left leg was amputated on June 8, 2004 following his final chemotherapy treatment. Noah did not let his disability impact his activity or ability to participate in sports. He knew that he was fortunate that his chemotherapy did not leave him with cognitive difficulties that can affect many children experiencing similar treatment. 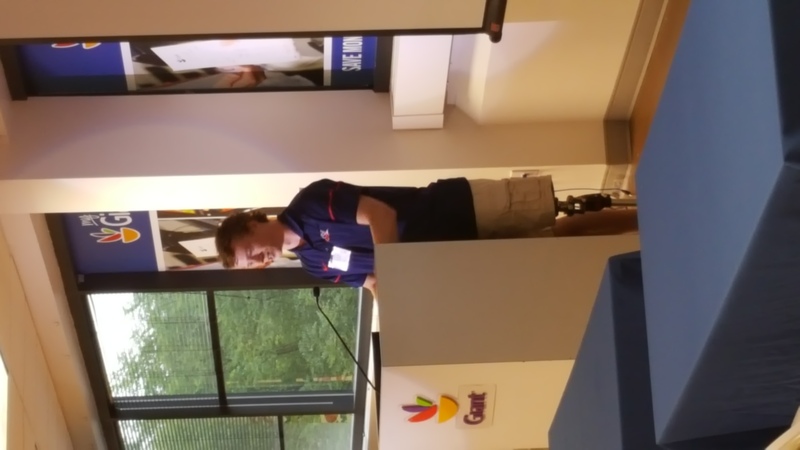 During his years of playing soccer, which included participating in the Amputee World Cup of Soccer in 2014 as part of the U.S. National Amputee Soccer Team, Noah was introduced to sled hockey at the Kennedy Kreiger Institute. Noah found that he not only had an interest in the sport, but also a unique talent. In 2017, Noah was invited to train with the U.S. National Sled Hockey Team following his graduation from Urbana High School in May 2017. He committed to attending the University of New Hampshire, majoring in biomedical science, with the plan to become an orthopedic oncologist. In the summer, Noah competed in the 2018 Paralympics trials, and won, to earn a spot on the U.S. National Sled Hockey Team as its youngest team member. 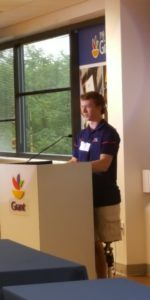 Before the tryouts, Noah was kind enough to share his story at the 2nd Annual CCF Research Symposium in June. You can hear about Noah’s journey here. 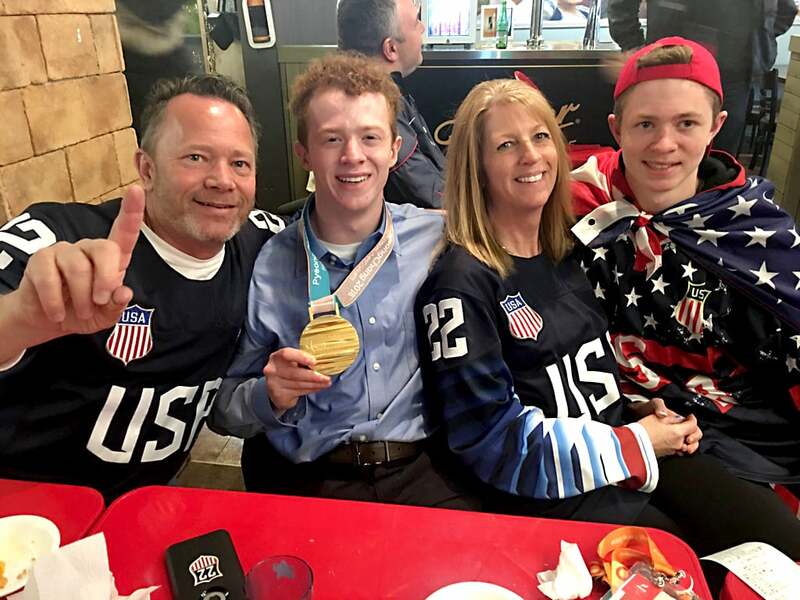 In March 2018, Noah Grove joined his Team USA members in South Korea for the 2018 Winter Paralympics, where he made some assists and even a few goals. But most importantly, he helped his team bring home the Gold by defeating Canada in an exciting hard-won final. The mayor of Noah’s hometown of Frederick, MD and the Frederick County Executive proclaimed April 3rd Noah Grove Day! With a Gold medal already under his belt, Noah surely will have more incredible achievements in the years ahead, and CCF looks forward to following his adventures. For November 2018, CCF will be awarding Noah with the annual Hero Award at the 34th Annual Gala, extended to individuals that have shown exceptional promotion of children’s cancer awareness.